La Vie Fleurit: Karl Lagerfeld's new work of art! Karl Lagerfeld's new work of art! 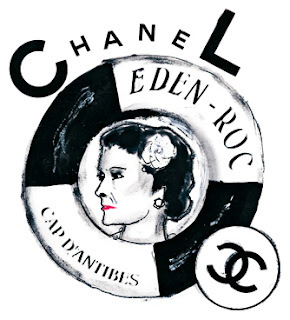 Karl Lagerfeld does it again he made a new movie for the launch of Chanel’s 2011/2012 Cruise Collection. The movie is called 'The Tale of a Fairy" and features: Freja Beha, Baptiste Giabiconi (Karl's boytoy or better said muse) and returning charming Dutch model Mark Vanderloo. According to Karl; “It is a movie about an ill-advised use of money which begins with violence and ends with feeling”. The real movie launches May 9th at the Hotel du Cap-Eden-Roc at the Cap d’Antibes. But it will also be online on May 10th at 9.00pm at http://www.chanel.com/. Below you will find a preview. I can’t wait because we all know which other short movies Mr. Lagerfeld made in the past! Old short movie by Karl Lagerfeld, starring Nicole Kidman, the first short movie used as a commercial!